However Mini says of the ice cream vans: “I just like the shape”, though the important role of an ice cream van in Assault on Precinct 13, is also important to her: “I’m obsessed with films and music. “Mini’s influenced by the whole pop art world, modern illustrators, Peter Blake, Francis Bacon, and there’s definitely a touch of the David Hockneys about her work in some of the large expanses of colour, particularly a blue like the colour of the Bigger Splash paintings. Mini claims her work doesn’t look to the retro but her love for Mad Men and inclusion of portraits of some of its stars including Jon Hamm and Christina Hendricks shows a definite liking for the past. The ice cream vans are gentle and rounded, sparse on detail but there is a lot of attention to the detail that is there. Other subjects are quite varied. 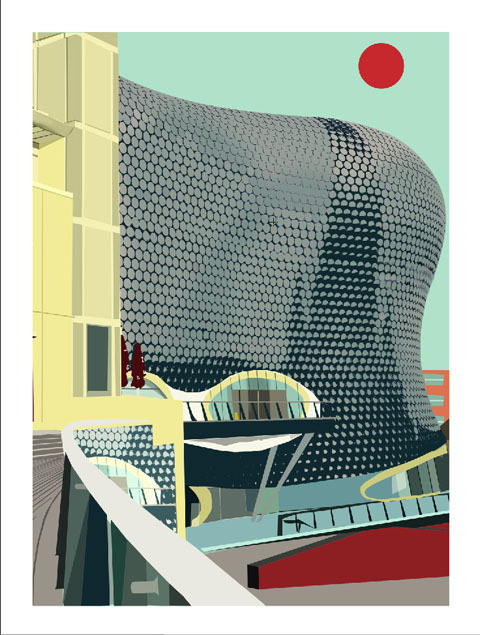 There’s Siblings, three young children and a car, and then Selfridges, showing the Birmingham shopping centre which is certainly a landmark whether you like it or not. La Manga Beach has fantastic colours, and you can feel the heat around the shuttered building and the thin shadows as two men walk towards the shore. In ATE, people wander past a prominent curved building in central London, and in Near Warren Street the iconic ice cream van returns, with a bicycle, surrounded by tall, modern glass buildings. 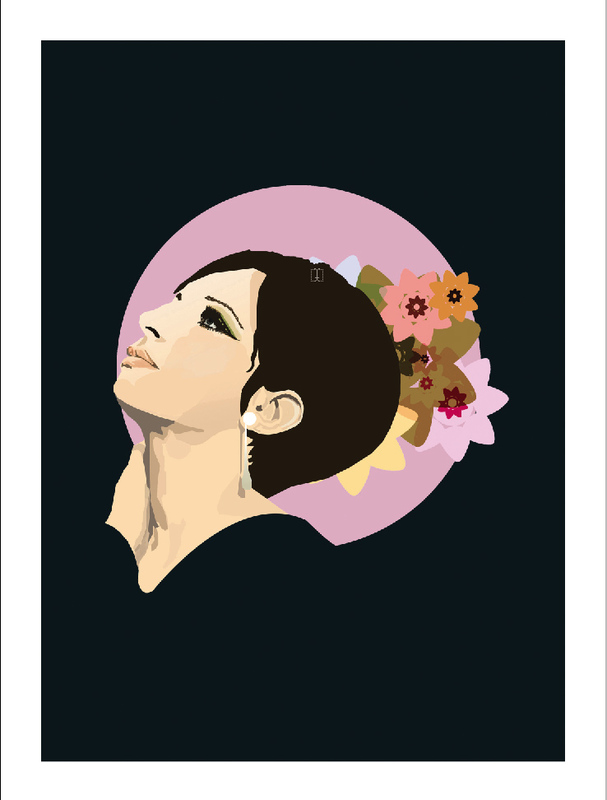 My personal favourites are the street scenes but there’s lots of portraits too, including a younger Barbara Streisand. It’s an interesting exhibition, well laid out, and showing stylish works in a good setting. Brilliant styles of work! A great artist! !